Improved diagnostic techniques offer veterinarians a clearer view of this complex, debilitating disease. As a result, they will be able to provide more accurate prognoses, and develop better treatment and management plans for horse owners. The old adage of “no foot, no horse” rings as true today as the day the phrase was coined, and there is perhaps no hoof ailment with quite so many unanswered questions as navicular syndrome. As it is a result of several related conditions that, in turn, affect the structures of the hoof, it is difficult to pinpoint the exact causes. The syndrome may affect the navicular bone, navicular bursa, deep digital flexor tendon, and related soft tissue structures that comprise the structure of the hoof. There is much to learn about navicular syndrome, which was initially thought of as theslow deterioration of the navicular bone. Diagnosis and treatment is anything but straightforward and the anatomy of the foot is the first of many complex factors in what is one of the most common causes of foreleg lameness. Small but significant, the navicular bone is located at the posterior of the hoof. Also known as the distal sesamoid bone, it is found at the junction of the short pastern and coffin bones; the area affected by navicular syndrome is connected by a series of ligaments and tendons. Along the posterior of the navicular bone and continuing underneath it is the deep digital flexor tendon, which then attaches to the posterior margin of the coffin bone. The navicular bone and deep digital flexor tendon are protected by the navicular bursa, a synovial sac that rests between the two – compressing and lubricating the deep digital flexor tendon as it slides over the navicular bone. Designed to suit the specific purpose of cushioning the foot and pumping blood, the hoof has changed over time due to farriery care and the intensity and frequency of work. There is evidence to suggest that conformation does play a role in the development of navicular syndrome, though the hereditary link many associate with the diagnosis is most likely determined by conformational flaws that are hereditary and contribute to wear and tear on the bone and surrounding structures, rather than the disease itself being hereditary. 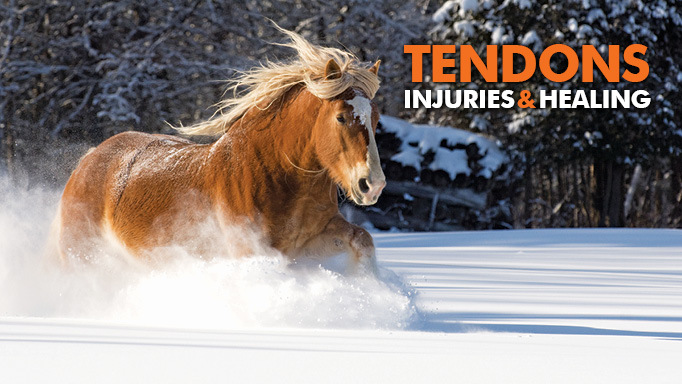 Evidence also shows certain breeds, such as the Quarter Horses and Thoroughbreds, are predisposed to navicular syndrome due to certain characteristic conformation traits. MRI: Unlocking the Secrets of Navicular Syndrome? A diagnosis of navicular syndrome is reached using a combination of a physical exam and findings from a radiograph (x-ray) ultrasound, or magnetic resonance imaging (MRI). Horses affected by navicular syndrome are usually diagnosed with a history of intermittent lameness that persists, but improves with rest. The lameness is often more apparent on hard surfaces or tight circles, and is sometimes characterized by a choppy gait as the disease is regularly found in both forelegs. Severe cases present with a “pointed” stance – with the horse standing on outstretched forelegs as it tries to alleviate pain in the heel of the hoof. A standard lameness exam will reveal a positive pain response to a pressure test applied over the frog and heels. A nerve block, or local anesthetic, injected into the navicular bursa or rear of the pastern will eliminate sensitivity to the area of the hoof affected by the pain of navicular syndrome and confirm a positive diagnosis before moving to an x-ray, ultrasound or MRI. Depending on whether or not the horse has been brought into a clinic as a referral or if the vet is out working in the field, the most common and inexpensive diagnostic tool is the radiograph, or x-ray, which will give quite a bit of information about whether or not the bone is affected. Because you cannot determine whether or not soft tissues have been affected on an x-ray, some veterinarians will often proceed to an ultrasound, which is again inexpensive, readily available and can give limited additional information on the deep digital flexor tendon. A relatively new diagnostic tool in the detection of the broad spectrum of navicular syndrome is magnetic resonance imaging (MRI), which gives the most in-depth information about what is going on in the bone and soft tissues at once. It also gives a good indication of whether or not the condition is acute, that is recent, or insidious, where it has been present for several months or years. Financially, a diagnosis using MRI technology is pricey, costing upwards of $2,000, due in part to the fact that MRIs are more invasive that doing x-rays or ultrasounds. It is a serious investment of time, finances and logistical considerations. 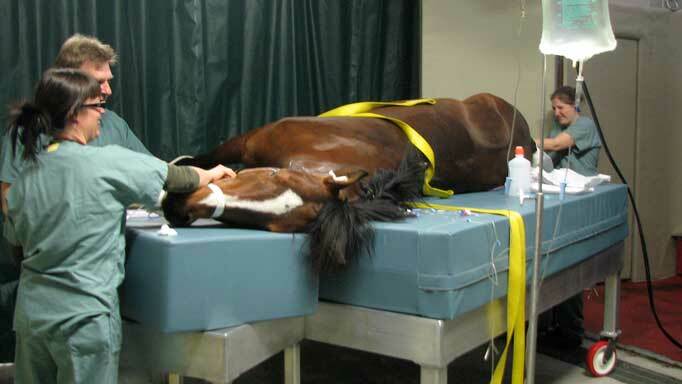 There are two types of MRI available in North America: one in which the horse is sedated and examined in a standing position, and another in which the horse is placed under general anaesthesia and placed on a specialized MRI table. Equine MRIs are still an emerging diagnostic tool and not common equipment, with only a handful available for use at universities and private referral practices across Canada. The University of Montreal and University of Guelph have “high-field” MRI units that require the horse be laying down, and the University of Saskatchewan has a “low-field,” or standing, unit. She further explained that to take images of both feet usually takes two hours, and a protocol has been implemented to ensure the horse is not asleep any longer than that. At all times the horse is monitored closely by a team of specialists. “At the University of Montreal we have a dedicated anaesthesiologist and specialized animal health technicians monitoring the horse at all times; there are MRI and x-ray technicians, lameness experts, and a veterinary radiologist who look at the images and tie that together with the clinical evaluation. 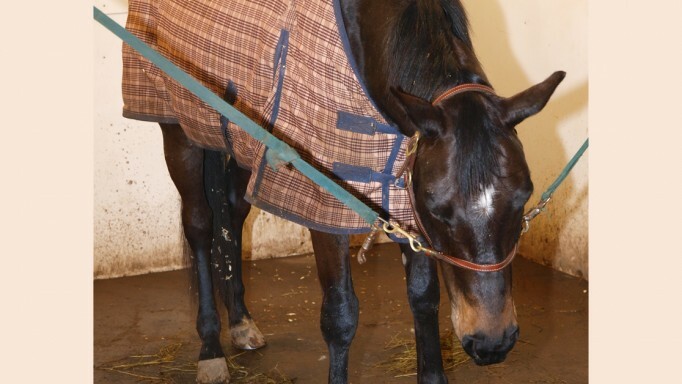 We are then able to come to a consensus on what could explain the horse’s lameness.” Recovery is standard for a procedure where the horse is placed under general anaesthesia. The horse is monitored until it is able to stand on its own and then discharged next day. The other option available in Canada at the University of Saskatchewan is a standing MRI, where the horse is standing, but heavily sedated. The standing MRI is a “U” shaped structure that goes around the foot, one at a time. The advantage to a standing MRI is that the horse is awake, the disadvantage is that the MRI is not able to get quite as big an area on its imaging. This procedure takes approximately two hours, depending on the number of images being taken. The treatment of navicular syndrome must be regarded as a unique set of solutions for each individual case, rather than a pre-determined method of management. As there is a variety of causes, so is there a variety of treatment options. If abnormalities are detected in the navicular bone, it is considered a degenerative condition and while it can be expected that with proper maintenance the horse will become useably sound again, the damage is irreversible. Dr. Alexander said that while treatments vary depending on the area affected, the prognosis is often dependant on how long the underlying condition has been present. Corrective shoeing and farriery care is of utmost importance in the rehabilitation of a horse diagnosed with navicular syndrome, and a successful prognosis depends on the ability of vet and farrier to work together. Using Sedatives – For or Against? 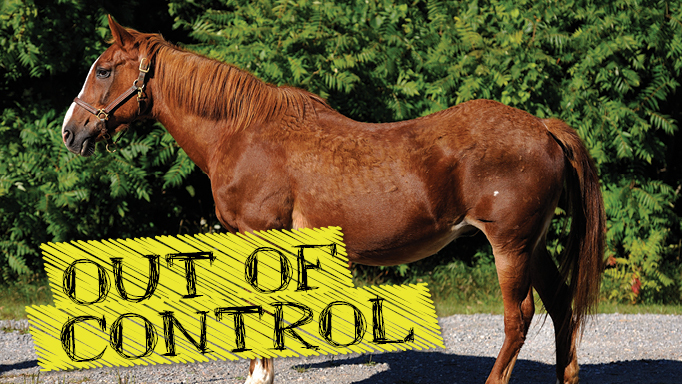 Hear from veterinarians and horse owners about the pros and cons of using sedatives. 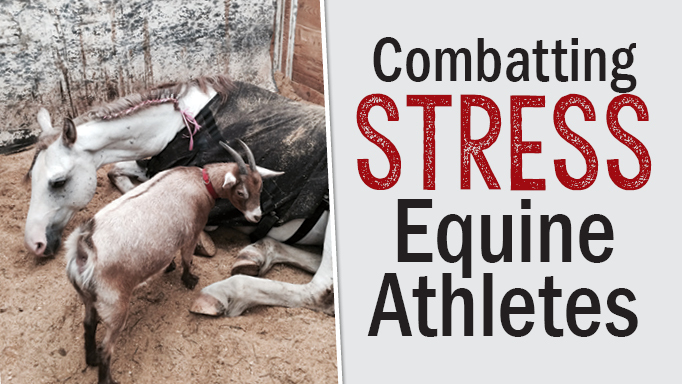 A look at the three most common conditions of hormonal imbalances in horses.